Hemsworth MW’s hopes of avoiding relegation from Pontefract Division One hang in the balance with a week to go in the season after they were unable to halt the march of top of the table Streethouse. An 85-run win for Streethouse kept the already confirmed champions on course for an unbeaten season with last week’s abandoned game the only one they have not won in the league in 2018. In contrast, Hemsworth remain locked in a relegation battle all set to go down to the final Saturday as they are level on points with second from bottom Hooton Pagnell and one point behind fourth from bottom West Bretton, although it helps that their two rivals have to play each other. Hemsworth are away to mid-table Askern. In their game with the champs Hemsworth set off well as they had the leaders 33-4 before a recovery was launched by Mark Robinson (40) and Gary Rhodes (25), Streethouse eventually managing a 166 total. Jack Heritage, with 5-51, gave Hemsworth a fighting chance, but their batsmen could not take it as they were all out for 81 with opener Phil Crapper (28) top scoring. Scott Bland led the Streethouse attack with 6-19 from 13 overs. 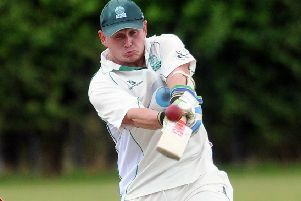 Ackworth slipped down from second to third in the top division after losing by 49 runs to South Kirkby. Adam Rollin (95, including 16 fours and a six) led the way as Kirkby posted a 208-8 total. Bailey Mathews took 5-37 for Ackworth, but they were all out for 159 in reply as Adam Wilkinson (51) top scored and Adam Rollin followed up his batting exploits by taking 4-36. Mohammed Ayub hit 104 to help Frickley Colliery to a 116-run win over Hatfield Town. Frickley made 228 and bowled their opponents out for 112 with Jason Mills taking 5-41 and Lee Capstick 3-10. West Bretton climbed out of the relegation spots when they edged home by two wickets against Askern Welfare. Patrick Mullins (4-36) and Mohamed Uvais (4-40) paved the way as Askern were all out for 130. 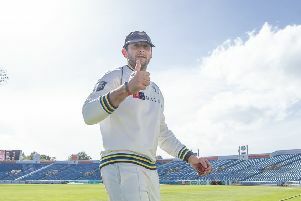 For more cricket reports from the Pontefract League, see this week’s edition of the Pontefract & Castleford Express and Hemsworth & South Elmsall Express.